As recently covered by the Miami Herald, the issues created by short-term rentals (as facilitated by websites like Airbnb and others) have become one of the most pressing challenges facing both homeowners and condominium associations during the last several years. Specifically, multiple legal issues have arisen from the blatant disregard of association governing documents clearly prohibiting short-term rentals. And yet, enforcing these restrictions has proven to be extremely difficult, warranting the development of strategic legal measures to address them. This is particularly of concern in Florida, which is one of the top home-sharing markets in the country due to the number of tourists that come through the state on a regular basis. In response, a number of Florida municipalities are now adopting stringent restrictions and regulations. For example, Miami Beach allows for some short-term vacation rentals in certain zoning districts, but bans them outright in all single-family homes and in some zoning districts. Recently, fines were also raised to $20,000 for first-time violations of these restrictions. In addition, Miami also adopted an ordinance requiring that homeowners wishing to list their properties on Airbnb first submit an affidavit to the city verifying that they live in an area explicitly approved for offering short-term rentals. Similarly, all condominium owners must also submit proof to the city verifying that their association explicitly allows for these types of rentals. Failure to provide this required paperwork can result in fines of $1,000 to $10,000. Condo and homeowners associations also have a means by which they can use their governing documents to protect themselves. While some associations already have governing documents and bylaws that allow for short-term rentals, strict measures addressing nuisance complaints need to be in place in order to ensure that disruption is avoided and addressed, if need be. Measures ensuring that guests are properly vetted before renting these properties and security monitoring is in place are also very necessary. 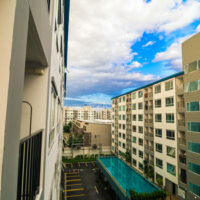 Associations that do not yet address these short-term rentals in their bylaws and governing documents may want to consider adopting new rules and/or amendments addressing the issue and placing restrictions as to under what circumstances they can occur (if they are compelled to allow for these types of rentals). And for those who outright prohibit these rentals, there needs to be a clear fining policy in place. There are services which allow associations and other landlords to detect property listings on these short-term rental sites and then take those steps necessary to prevent the rental. HD Law Partners focuses on finding strategic legal solutions for homeowners and condominium associations. 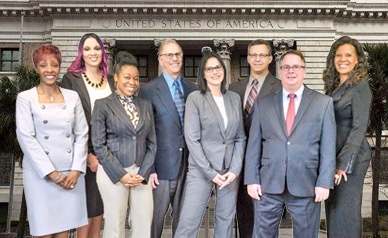 We provide the knowledgeable, dedicated legal guidance and representation that you deserve. With over 40 years of experience representing property association interests, we have the legal solutions you need. Contact us today for a free consultation to find out how we can help.